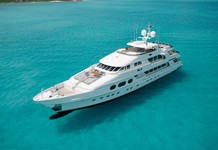 Maritex bearings were supplied to Motor Yachts Idol and Australis recently. Orders placed on Friday for shaft bearings were delivered to Italy on the following Tuesday, these were made at the factory over the weekend as the vessel was due back in the water on Wednesday. Use the buttons above to take you to our product pages, or go to the drop down menus below these buttons for specialist pages within each product such as images. You can also go direct to the downloads to the left of the page for fitting sheets and calculators. H4 have the resources of several specialist engineers working within mechanical design and engineering to call on, should you require advice in any mechanical system. We are often called on to advise on the options available where existing systems have failed or show excessive wear. 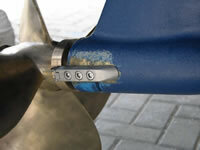 Shaft, rudder or stabiliser, pads, guides or bushes. Water, oil, grease or dry lubrication. Low speed, low stiction or 12.000rpm race boat shafts. Maritex composite bearing material has been proven in a wide range of applications, offering improved performance and reduced maintenance. From large vertical pumps in the oil and mining industries to saw mill tables, grain awgers and hot acid mixing tanks, Maritex is likely to exceed the performance of any material you are currently using. Marine applications of Maritex have shown great improvements for a number of navies as well as high speed commercial vessels. This is when compared to the very latest materials the competition has to offer. Rope cutter or Line cutter quicKutter™ is the professionals choice not a disc or a scissor but a very robust shaver. 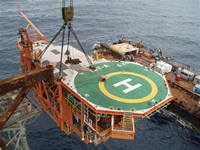 From fishing boats to superyachts, crane bearings to pump bearings, H4 has products that will be of interest to builders, operators and owners. H4 Marine have been supplying systems and components to a wide range of vessel operators and builders for over four years. H4 supplies truly innovative and effective systems and components. 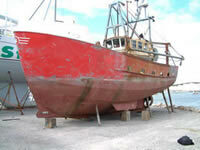 We are focused on the marine market but are also suppliers to a number of other engineering disciplines. The bearing material has been of particular interest to those already using or considering composites who are looking for a premium product. If you have requirements or simply questions that relate to marine shaft systems or bearing performance/failure analysis we can probably help or will know someone who can. Our role often starts with problem solving but always ends in a solution. Our customers include more than one navy, as well as custom builders of luxury yachts of 50m and more. Shaft sizes to greater than 200.00mm (8") and bearings to over 0.5m (22") diameter. Within the companies whose products we supply there is a very broad range of knowledge we can call on, covering composite engineering, hydraulic systems, materials technology, vibration and noise reduction, bearing systems and power transmission. These companies and their respective experts in their fields have been in operation for more than 10 years. During bearing trials for class approval the latest Maritex material exhibited no wear after simulated rudder operation at 7.5Mpa dry. The test was for contnuous operation for 200 hours at 5.5Mpa followed by 200hours at 7.5Mpa. the test is now running at 11Mpa. .Maritex develops Aquapure WRAS approved for drinking water. The RNLI are in the process of updating the Severn class offshore lifeboats with new props from Clements and changing the old Spurs scissor action rope cutters for QuicKutters™ to enhance the performance. We have quicKutters™ fitted to vessels capable of 50knts and none have shown any loss of performance or cavitation since fitting the cutters. Keep an eye on the latest maritime news bulletins from Mercator media and Maritime journal. Christensen photos courtesy of Christensen Yachts, photographer Stephen Cridland.